If you check the weather for Mount Rogers, Virginia for the past weekend, February 11 and 12, 2012, you will see extreme conditions. The temperature at the trailhead near Massie Gap was 4 degrees Farenheit at 5 P.M. Saturday afternoon. I don't know how far the temperature went below that. The wind speed was 25-35 with gusts to 58 according to the national weather service. We camped near Wilburn Ridge. The tent was rock solid all night. It flapped a little but when staked properly it is stout. The snow slid off easily. The fly reaches all the way to the ground so wind did not enter under the fly. It is roomy. Condensation has never been a problem; vent low-high with the doors. We were afraid it might get flattened by the wind. It performed admirably. I'm not going to Everest. So, I'm not worried about it standing up those conditions. 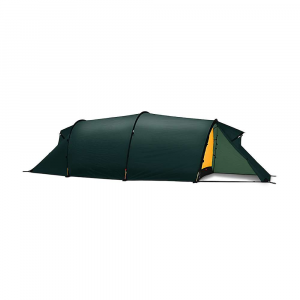 It is a good four-season tent for the conditions described above. This tent has been bomb-proof for me in a variety of conditions. 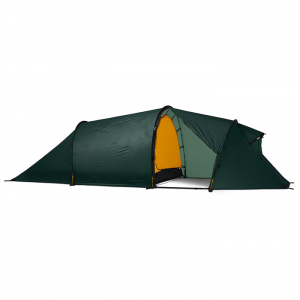 The set-up is fairly straight forward with nothing very different from other tents, but the durability and stability are what make this tent better than others I've used in the past. I have used this in over 30 mph winds, and it has stood its ground well. The bunjee cords used to stake in the tent really help as a shock-absorber system to take some of the shock out out wind gusts. This is the first "four-season" tent I've owned, and it was definitely warmer than other tents I've used in the past. The double vestibule and dual doors are very handy, especially for storing gear. This is my second High Peak Tent. I first bought the High Peak Enduro and was very pleased. Therefore I purchased the High Peak South Col. I found it easy to set up, however I have been setting up tents for years. I was impressed with the quality for the price. It rained and the wind blew, but the tent was sturdy and kept us dry. I have been very satisfied. Actually used this tent for its intended purpose - the 4th season. Though I'm sure it works great for the other 3 I'd be hesitant to lug this much weight around. Got a great deal on it and am currently using it for the winter season with a couple friends. When you split it in 3's to carry it's not at all bad. 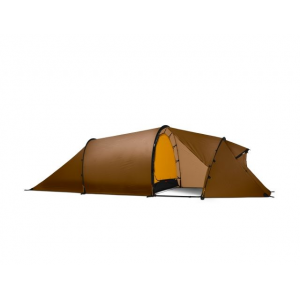 I know this is a "low-end" product that will probably just get half-effort reviews from other users, but I know many people really want to get the low down on cheaper tents like this because it's about all hey can afford. I fall into this category as well. -Lots of room inside the tent. It slept 3 guys fairly comfortably. There is plenty of ceiling space as well, maybe a positive depending on your needs. Slept 4 once with a couple of girls in nice weather with no problem. 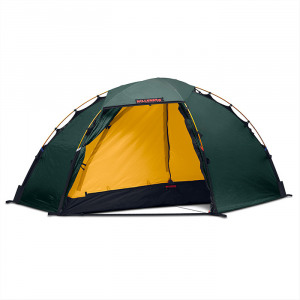 -Double doors: One solid and one mesh layer for 3 season venting on both sides of the tent. -Lots of clothing loops, gear pockets. Also came with a mesh gear loft. Nice! -Comes with bags for everything and a ludacris amount of stakes. -Requires a lot of stakes. I think it comes with something like 22. In the winter it becomes a chore to deadman anchor a lot of points. Tent works best if you can get all of them though. -No venting. Not even an option. There is one vent on the fly which is cute but fairly useless. You will need to open the top of one door and the bottom of the other if weather permits for cross venting. Moisture was a big problem as the inside of the tent was frost city. Will try some other options to remedy this which could affect my review and the tent rating. Notes: Purchased a tarp to keep under the tent and protect the bottom from freezing to the ground and tearing in the winter. Also, please don't take it to the actual south col on Everest. You'll die for sure. 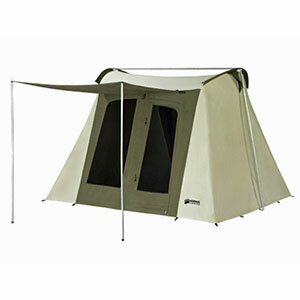 If you're looking for a mountaineering tent, this is certainly not it. It you're looking for something easy to set up with all the extra features, again you'll come up short. Took us 15-20 minutes, given this was also in sub zero temps. If you want something entry level so that you can get out in the winter with friends and get a taste of the action, this is it. Ease of Setup: Easy to set up due to aluminum poles and snap on design. Pros: Very high quality materials especially the floor and fly. Very stable with the fly attached. Stays dry in heavy rainstorms. Looks cool. Perfect fit for two twin air mattresses. Best buy for the money on ebay. Cons: Not very wind resistant without it's fly and third poles. The High Peak South Col is not available from the stores we monitor.